Gabriel Allon Series . Daniel Silva. Gabriel Allon Series . Daniel Silva. Eighteen books so far in this series about Gabriel Allon, spy and art restorer. Silva is very thorough in his research and thus paints a much more involved picture of the spy game than others you may have read. Allon is an Israeli spy, based on Europe and eventually in Israel as he climbs the ranks of their secret service. Close ties to the Middle Eastern, European, English and American spy ranks allow the stories to flow across the globe as Allon pursues those who would do damage to Israel. The research allows a different point of view to come through, which is often lacking in other Western writings. Russia ends up as the ultimate enemy as Putin politics of aggression become evident. But Allon has enemies in many camps through these books. The writing is crisp, has a good pace, excellent character development and is often very hard to put down. Each book is great for a four plus hour plane ride. Damned Nations. Greed, guns, armies & aid. Samantha Nutt. MD. Damned Nations. Greed, guns, armies & aid. Samantha Nutt. MD. 2011. ISBN 9780771051470. One of the most concise and clear writing I have read on the sheet lunacy of many aid programs in the world. The author has worked in most of the war torn places you can think of. Of course we expected the celebrity programs to be a waste, but the author details the wasteful business of large aid groups, and how much of the funding is not dispersed . She also points out how having the military associated with aid only brings about even more waste, bureaucracy, disconnect with the locals and increase the risk to NGOs. You clearly find out the disconnect between what First world governments say they want to do and what the countries really need. She holds out hope for those organizations which are there for the long term and work at the grassroots to improve the citizens lot. This is another voice explaining the benefits of educating girls and the impact on village life. You will be aghast at the rapaciousness of many of African leaders as well as the dangers posed by child soldiers who become detached from reality. I guarantee you will not want to put this book down. Canada does not come out that well in this boo, from our govt to our large investment funds ( Teachers and Union funds) who invest in large arms dealers. How Asia Works. Success and failure in the world’s most dynamic region. Joe Studwell. How Asia Works. Success and failure in the world’s most dynamic region. Joe Studwell.2013. ISBN 9780802193476. An all encompassing, insightful book. The structure is simple . Compare the NE Asian successes ( Korea, Japan, Taiwan, China ), to the SE Asian disasters ( Philippines, Indonesia, Malaysia, Thailand, India) ignore unique nation states like Hong Kong, Singapore, then extract behaviors that seem to lead to economic powerhouse countries. Then discuss each country a little more deeply to unpack their individual successes, failures and on-going weaknesses. Along the way blow holes in the prevailing World Bank and IDB ” economic wisdom” . The author has little regard for most economists and after reading the book I am inclined to agree. He does indicate that economic history is a useful pursuit in this analysis. I saw many of his observations “operating” in our recent Asia /Africa trip. Even though this is well before the Chinese stock market meltdown, much of his analysis indicated the inevitability of it. The text is easy to read, well organized and will consume you. No wonder Bill gates endorsed it. The Sustainable Organization. A paradigm for a fairer society. Miguel Reynolds Brandao & Nadia Morais. 2015. A very thought provoking rethink on how organizations could change to a more sustainable model. I have reviewed the background research for the 99% movement , Alex Ohanians story how youth can create the future and Bruce Thorntons belief in the EUs slow inevitable decline. all here in this blog. Brandao has taken a more analytic view of organizational structure, reward systems and their impact on the world order. He details the world wide executive compensation inequity ( absent somehow for Sweden and Norway) . He posits a new index the SORG , that powerfully communicates the impact of an organization on the world/community which is well beyond P&L statements and GDP. This could be like catnip to Millenials. This is a useful viewpoint, one that is worthwhile for academics to pursue further. Plus I suggest you read it to stimulate your thoughts and responses. I can see this as worthy of a TED talk, and also at Davos. The book may be one that Bill Gates would recommend as it fits with his recent recommendations. Global Catastrophes and Trends. The Next fifty Years. Vaclav Smil. Global Catastrophes and Trends. The Next fifty Years. 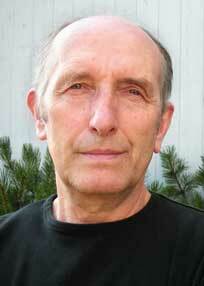 Vaclav Smil.. 2008. ISBN 9780262195867. At first this seems like a weighty book to go through. However the widely read, and acknowledged expert author ( Resident of Manitoba) has just the right style to weave anecdote, research and analytic data together to create a compelling read. It may be more for the Economist vs People magazine reader, but if you care about the planet and what may or may not occur bases on the numbers and the trends, a very needed read. E.g. 9/11 killed about the same numbers of people as those who die in the every two weeks because of medical errors in the hospital, or every four weeks from car accidents. Extrapolate what would happen if the money spent daily to “prevent” another 9/11 addressed hospital error? And car accidents and medical error continue. while 9/11 happened once. Or that Russia kills so many adult makes due to chronic alcoholism and related events ( car crashes etc) that their population will decline by 25% by 2025? Read this book and you will have a completely different view of of the 6 pm news broadcast. Grand Pursuit. The story of economic genius. 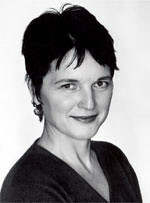 Sylvia Nasar. (A Beautiful Mind) 2011. ISBN 9780684872988. A book on a large scale it takes us from the time of Dickens through to present day. I am fearfully ignorant of economics having found it hard to find a logical thread in which books to read and which theories to follow. Nasar builds the story being true to context and the lives that shaped these brilliant men and women, while maintaining a middle ground of opinion. ( I am sure radical liberals and socialists alike will disagree with me) She is able to clearly position the growth of modern economics as these scholars built upon each others work (sometimes) while dealing with vast changes and upsets. I was most intrigued with how the Soviets were able to seduce many of these academics during and after WW II. Worth anyone’s time to read this well written and clear book. During one of our many discussions with Chinese expatriates while we were traveling together in China, this one about trade delegations was most disconcerting and surprising. One fellow commented , “I do not let Chinese trade delegations into my plants in Canada.” I asked why. He had learned from colleagues that Chinese trade delegations to Canada were rarely about finding new business ventures. Rather it was about getting subsidized to free travel and high living for the participants while traveling, plus they are charged to take pictures/evidence of everything to take back. The first responded, ” I had a mid level employee retire to China and he was approached to play a role with Chinese companies talking to their local /state governments and banks officials . He would dress up in a good suit and get taken to lunches with these officials . He was held up as a major Canadian investor interested in the projects and often his presence was enough to get the approvals needed for these big projects to go ahead. The officials gained great face on being visited by dignitaries. Hearing this I fear that many Canadian govt officials are being lead around by the nose with invitations to come to China. One could even call these boondoggles unless a lot of homework is done. We are very trusting and innocent in this style of business. Better that Canadian companies went to India if anywhere . IMHO.